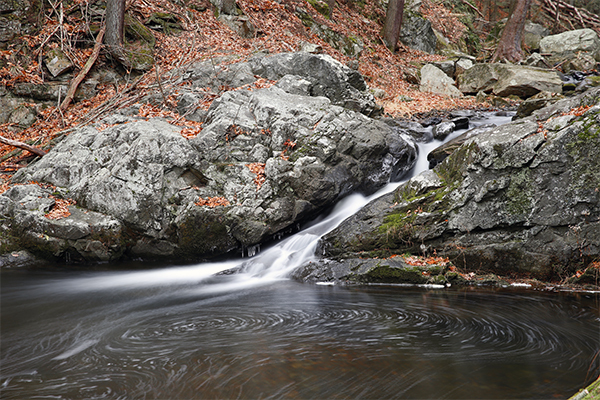 Kettletown State Park is a lovely state park that borders the section of the Housatonic River formally acknowledged as Lake Zoar. 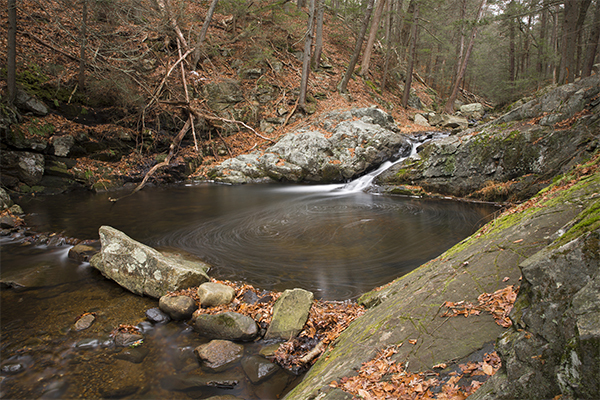 In addition to camping facilities, a beach, freshwater fishing, and a network of trails, the state park also offers a short walk to a small waterfall. To my knowledge, these falls do not have a proper name. Due to their size, only 4 and 5 feet tall, they may never receive enough attention to warrant a name. However, size is not all that matters. 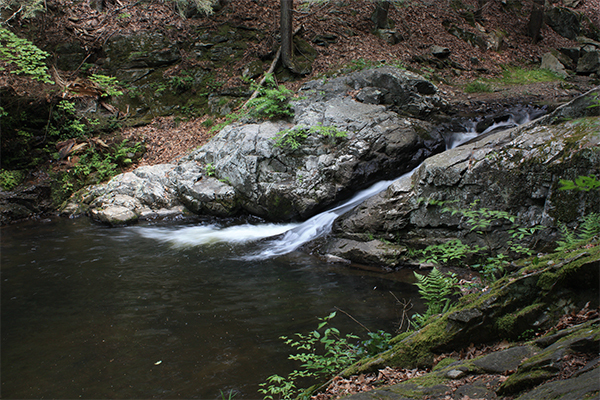 The falls and brook are all quite pretty, and it is all just a few minutes walk from the beach. Take note that although tempting, swimming is not allowed in this stream. Fishing, however, is permitted with the proper state license. If you plan on visiting, you should also considering camping within the state park campground or staying in one of the parks' lovely cabins. 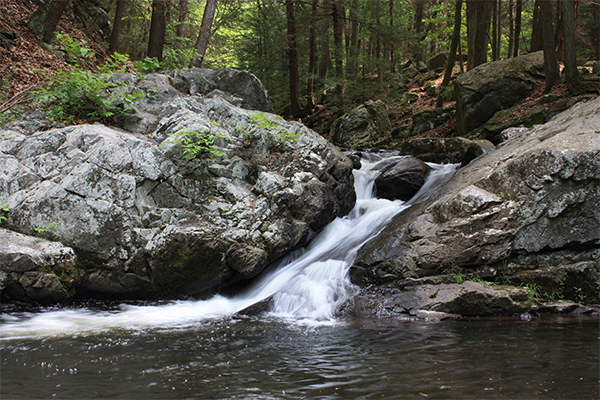 The two sets of falls are located 0.2 mile north of the beach, reached by hiking along the trail that parallels and crosses a bridge over Kettletown Brook. 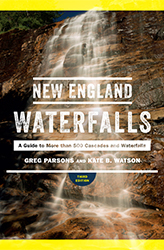 The upper falls is only 50 feet upstream of the lower falls. From Waterbury, take I-84 west to exit 15 for CT 67. Take CT 67 south and, soon after, turn right Kettletown Rd. Follow Kettletown Rd south for 3.4 miles to a right turn onto George's Hill Rd. Take note that Kettletown Rd seamlessly turns into Maple Tree Hill after 3.3 miles or 0.1 mile before George's Hill Rd. After traveling for 0.7 mile on George's Hill Rd, turn left into Kettletown State Park and follow signs to the 'Beach'. You may need to park in a nearby overflow parking area if the parking directly in front of the beach is full. The trail begins to the left end of the beach. In 2016, the fee to park on the weekends and holidays was $9 for CT residents and $15 for non-CT residents. There is no charge to enter the park during the week. 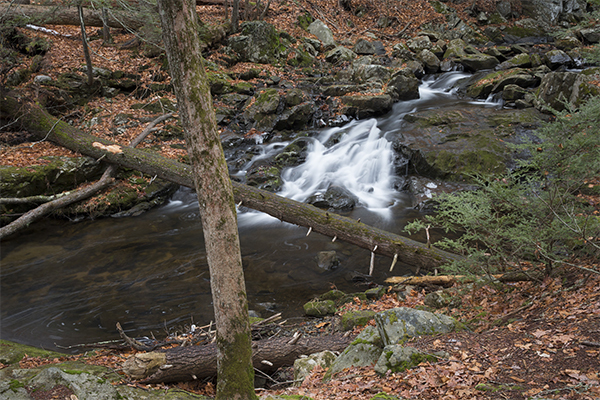 There are several miles of other trails in the state park that can be enjoyed as well.